I was lucky to spend a week photographing Nanaimo, British Columbia and other parts of Vancouver Island in 2013. I made this photograph on one of several evenings where I walked along the Harbourfront Walkway past many small shops and marinas. 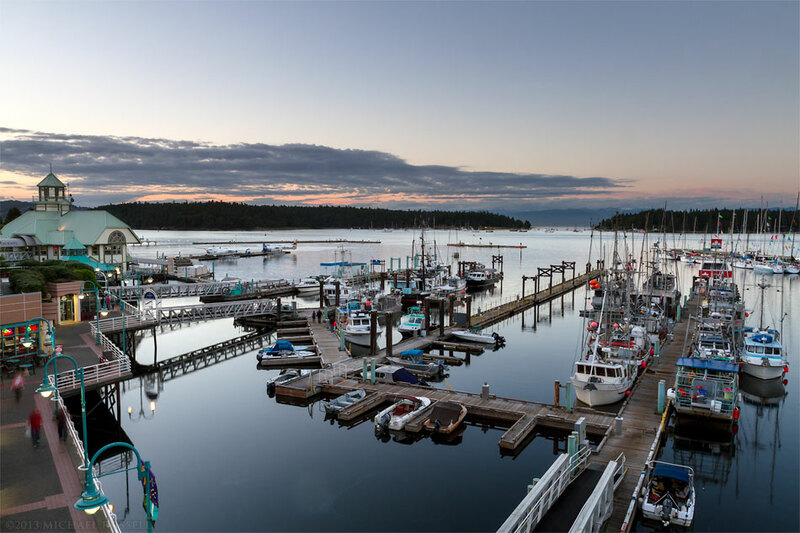 I previously shared a different view of Nanaimo Harbour but I think I prefer the wider field of view in the above photograph as it shows more of the fishing and other boats in the marina. You can view more of my photographs of the Nanaimo area in my Vancouver Island Gallery.